When the time came to teach my students all about stocks and investing, I didn’t know where to start. There are so many sites available now a day that it was very hard to decide how to teach this topic. First, I decided to try by myself this course called investing 101. I wanted something easy for my students to understand, something for them to get a strong base on investment. I tried several courses but none of them fulfilled my expectations. 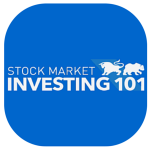 Until I came across Investing 101 and being completely honest, this is by far the best online course I have ever tried and believe me I have tried a lot of them. This online stock market course combines the best of classroom theory to start learning trading with the best real-world, real-time stock market simulation. 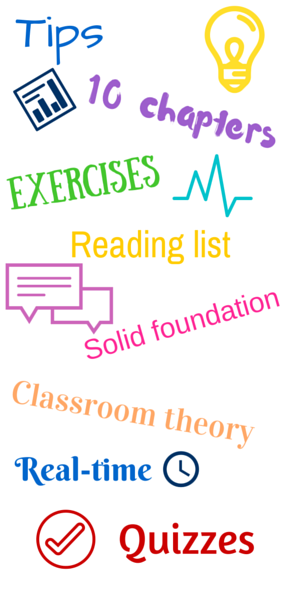 This course has 10 chapters and each one of them includes exercises, quizzes and reading list suggestion. It has amazing tips from Mark Brookshire – Stock Trak founder, that he’s learned from a lifetime of investing and financial experience. I really enjoy learning and teaching my students using successful examples. In addition, you have email support from him. I have emailed him several times now and he is always available to answer any question I have. I have learned so much from him. Some of the things my students learn using this online course is how the stock market works, what their trading options are, how to analyze opportunities, craft their own investment strategy and much, much more. You can see their course outline here. What I love about this course is that is perfect to use in a classroom setting, so I contacted this company to get investing 101 for my entire class and they gave me an excellent deal. I use this every semester and at the end I assure you that your students will be able to make their own investing decisions with confidence and will have a solid foundation of investing knowledge.How do I use Investing 101? How do I use Investing 101? An understanding of the stock market is crucial for anyone considering investing in stocks. That’s why every semester I use Investing 101 in my classes. I usually assigned 1 chapter per week and at the end of the week they will do the quiz provided on the site, they can’t pass into the next chapter until they have completed the previous quiz. What me and my students like about this course is that it is very easy to read and not boring at all. In class, we usually do some of the exercises provided in the chapter. In the 3rd lesson “Making Your First Trade” I will introduce them to my favorite stock market game on HowTheMarketWorks. By using this platform they are able to practice with virtual money and get the most realistic hands on experience on investment. What Is Taught In A High School Personal Finance Class?